We have always been fascinated by 'Underwater Photography'; here we have some of the best underwater photographers' creative works. Enjoy! The Conceptual Underwater Creative Photography of Jason Heller: New York based Jason Heller is a commercial and wildlife photographer whose work is regularly used for advertising and published in scuba, travel and mainstream publications worldwide. 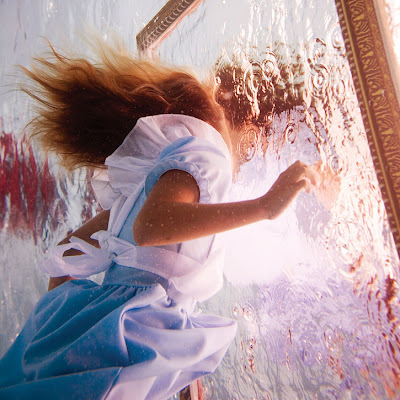 He can be best described as a conceptual commercial photographer specializing in underwater, travel & lifestyle photography, but the depth and breadth of his work both in and out of the studio has no bounds. Artistic Underwater Photos of S Lee: This young photographer's creativity started peaking at an early age; currently she's attending Chapman University in Orange. 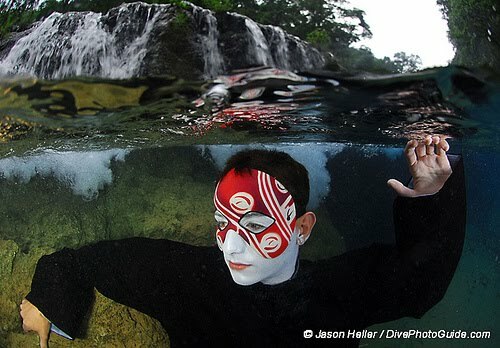 "Photography is my creative outlet. 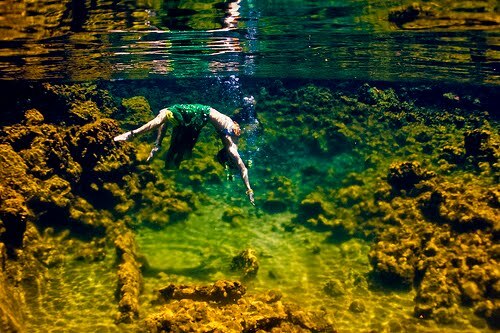 It inspires me, motivates me and allows me to visually express my aesthetic perspective on the life that surrounds me. Portraying subjects in their best light through camera-work and editing is what I strive to do." 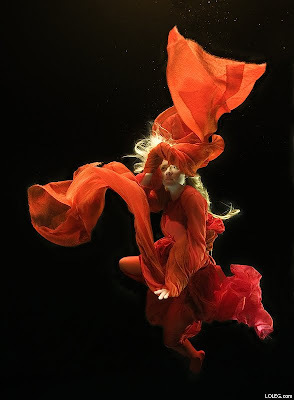 Artistic Underwater Photos of Barbara Cole: A self-taught photographic artist Barbara Cole has built an extraordinary career in image making over the past two decades. She dropped out of high school and discovered it was what she wanted to do. According to her photography found her, identified her and ultimately saved her. 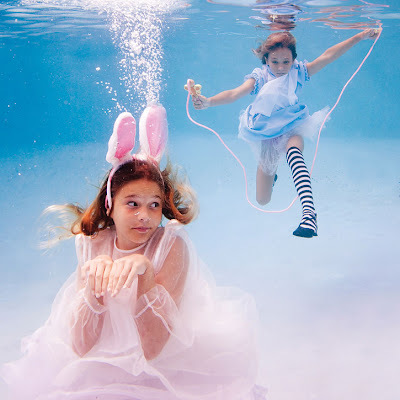 Alice in Waterland by Elena: Elena is a visual artist who specializes in underwater photography. Born in Russia, for the last ten years she has been living in the Bahamas. For the new version of the story she chose her daughter as the perfect model and the results are some really fascinating photos. Subaquatic Photography - Alix Malka: Alix Malka began his career in the world of fashion in 1985 working with Thierry Mugler. Today he is one of the most asked for photographers by the international magazines, who draws inspiration from the likes of P Almodovar & J Waters, & designers like J Galliano & Alexander McQueen. 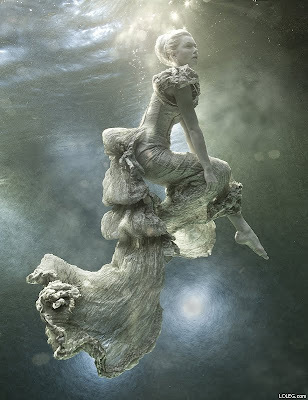 Underwater Photos of Zena Holloway: At the age of 18, Zena Holloway traveled the globe working as a scuba instructor and developed interest in underwater photography. Over a period of time she mastered the skills. 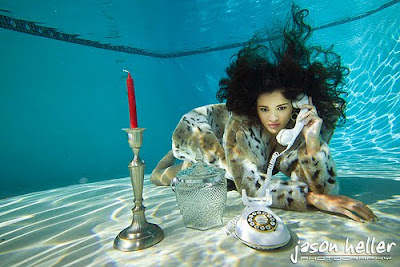 London based Bahrain born self-taught photographer has taken underwater photography to entirely new depths. 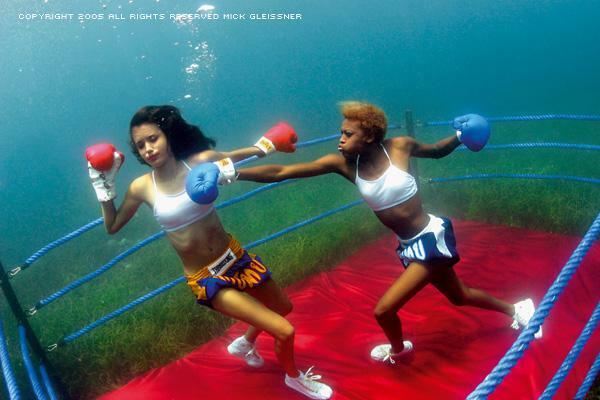 Underwater Fashion Photos of M Gleissner: Underwater modeling is Gleissner's specialty; these photos may look effortless but if you go according to him, then only a select few models have what it takes to be part of his creations. (Image credit: 1, 2, 3). Limousines: Who Wouldn't Like To Own One.